Working with the seasons we have acknowledged the Autumn equinox, the balance point between sunlight and darkness. As the days are becoming shorter, the yang energy of the season is beginning to recede. Just as high tide shifts to low tide we can find this energetic occurring at an annual cycle. Exploring this idea in terms of Yin and Yang, inorder for the Yang energy to become potent and vital to support the expansion of life in the spring, it is necessary that Yang energy begins to hide in the fall. Everything in life occurs in a cycle. The day turns to night, the full moon becomes new, and the trees drop there leaves to the forest floor. Without the recession and hiding of Yang energy there can be no future growth. All life requires time to gather, collect, and consolidate. It is the reinforcement of Yin that lays the foundation for the future expression of Yang energy. For example, it is delightful to spend time around a campfire or fire place. In order to preserve the heat and intensity of the fire we must pay attention to the way we lay the logs at its base. If the fire is not banked properly, it will not have the physical resources to burn for a long period of time. In fire building (creating yang) we must feed it the proper size wood to create a dense bed of coals. As we establish and concentrate the coals (yin) of the fire, we are able to burn larger logs, provide more heat (yang), and have a great surface to cook upon. Yang to Yin, Yin to Yang. As we watch the trees and observe the changes of the Earth we can be reminded of this transition. We are entering into the solar phase of the "Cold Dew". Be aware that the weather is changing. The morning times are much colder than the day. The temperatures of the day drop quickly and the night begins to hold a chill in the air. All Life on our part of the Earth is beginning to condense inwards. 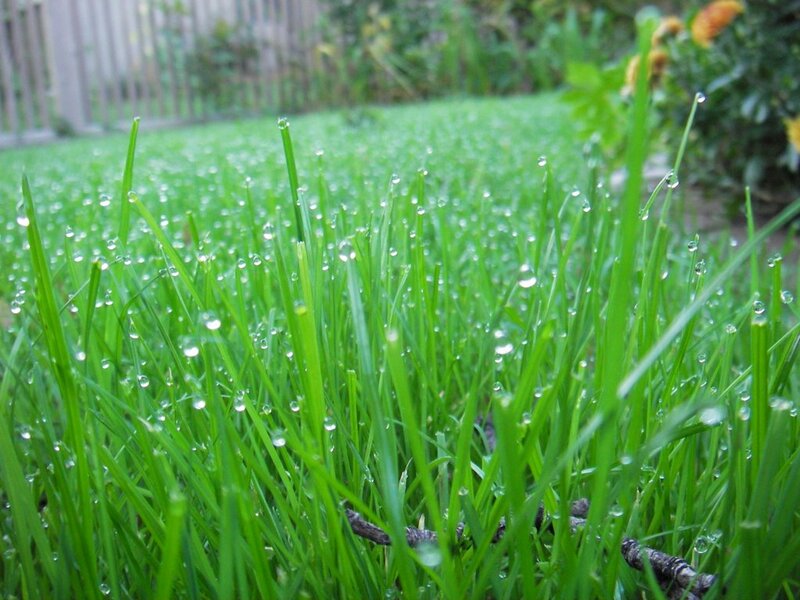 There is heavy cold dew found upon the morning grass. Take time to embrace the cold morning dew. Walk outside barefoot first thing in the morning and get your feet wet. Embrace the chill in the air. Notice the subtle shifting of the season. Feel the cold air on your skin while noticing the warmth of your core body temperature and blood circulation. To be able to feel warm internally while noticing the external cold is a very powerful practice. This functionally banks your metabolic fire, condensing your Yang energy inside to nourish your Yin blood. In our next blog we will continue with a Qigong exercise to support our immune system and "thicken up" our blood to embrace the advancing cold of the winter. We will also discuss the importance of changing your tea cup to fit the season of the fall.